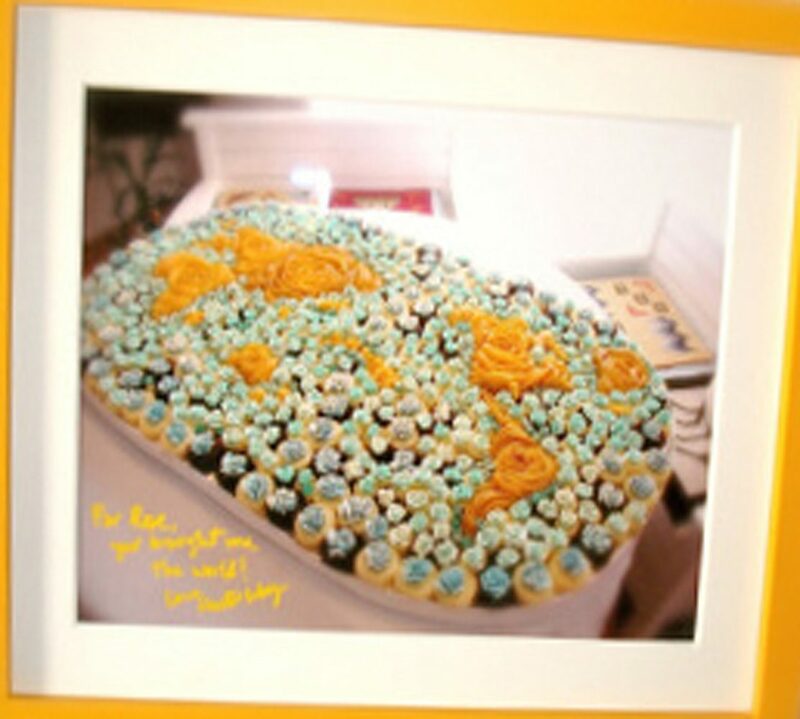 Yellow 14 Butter Cupcakes (page 295) – delivered! “what does a cake journalist do when told food is not allowed in the theater? he writes! 3 packaged cupcakes on a flower basket. i said it isn’t food, and the crazy woman believed it!” for ROSE’S heavenly CAKES: Yellow Butter Cupcakes (page 295) with orange oil burnt orange silk meringue buttercream, at Ballet Hawaii. J, you got the point!